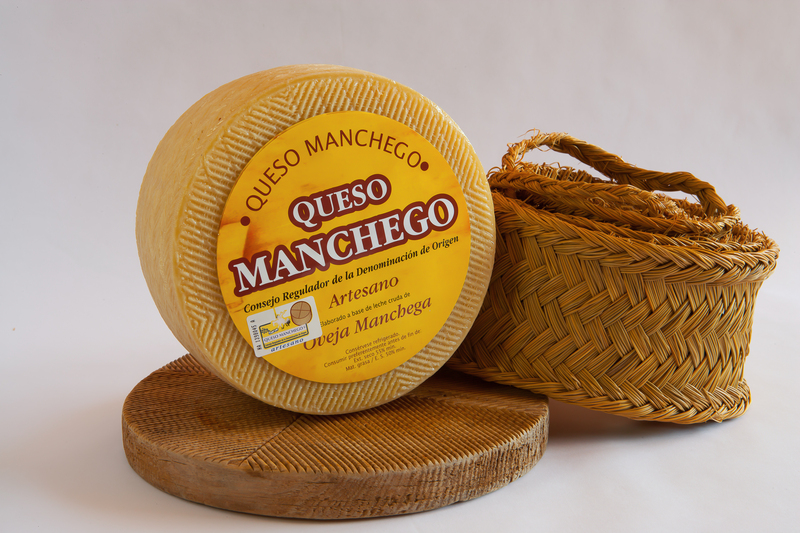 The name “Manchego cheese” refers to the cheese made in the La Mancha region of Spain using milk from Manchega ewes and aged for at least sixty days. Manchego cheese is made from pasteurized milk, or unpasteurized milk if the cheese is hand-made, from ewes raised by registered Denomination of Origin farms. Manchego cheese is the product of a harsh, extreme climate that favours the growth of very tough plants, the diet for a curious ancestral race of sheep, the manchega, that is raised under very strict standards of breeding and health. The result is a cheese unlike any other. Although there are records of people trying to make manchego cheese elsewhere both inside and outside Spain, nobody has ever successfully imitated so many time-worn factors at the same time beyond the borders of La Mancha.